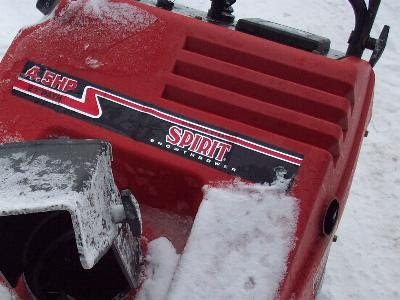 Grace Roots Blog: The smooth power of my "Spirit"
The smooth power of my "Spirit"
A few weeks ago I posted some pics of all the snow we've had (and believe me, we've had plenty more since then!). A couple of the pics were of my driveway, from which I had removed a lot of snow, and Matthew asked how I had gotten it so neat. 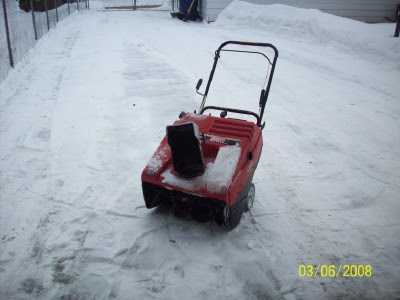 Well, it's all because of the smooth power of my little Spirit snowblower! We've had this baby since the winter after we moved into our house in 1999. 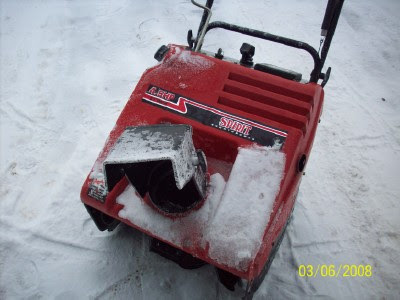 This was one of the most inexpensive snowblowers at the store. She's a little 4.5hp blower, and she's worked like a charm during all these years and she still keeps on tickin'. I really didn't think we'd get this many years of work out of her! "Look behind you... a snowman! Let's go have lunch!" We got nailed here and I was out with my neighbour blowing out the lanes...it was well over the housing in most lanes...we took turns running while the other person knocked it down with a shovel. I think your pal here might be a little challenged up here...I can't imagine what futher east like Ottawa, MOntreal got. The up side it was dry and not a heavy wet spring dump...usually we are a week away from the robins and the tundra swans....I think they will be late this year. I figured you just had master snow shoveling skills from livin' up north haha. Yeah there's a HUGE difference between the wet, heavy snow and the light fluffy stuff. Matthew... I suppose I'd get much more of a workout if I used a shovel, but as long as I gots my "Spirit" it's much more restful work! LOL! It does look like Spirit wants to ask a question! LOL! 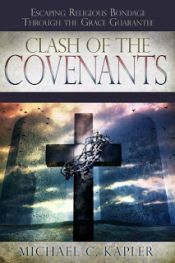 What is the Spirit asking you?! Just kidding! Good comment Nic - I guess this is an example when you would not want to 'walk in the Spirit'...might take a toe or boot! I know it is not quite 6 am and need another coffee. All right... you guys are finding more in this than is necessary... :-D ... and I'm having a lot of fun with it! That "walk in the Spirit" line was a good one. Might take a toe or boot! Hehehe!